Contributors: Roger Southall, Hamilton S Simelane, Adriano Nuvunga, M A Mohamed Salih, Blessings Chinsinga, Susan Booysen, Shauna Mottiar, Lesley Blaauw, Benson A Bana. Key terms: Public Participation, Political, Challenge, Southern Africa, State, Elections, Protest, Swaziland, 2008, Elections,Mozambique, 2009, Democratic Consolidation, Critical, Malawi, Processes, Outcomes, Party, Opposition, South Africa, Role, Civil Society, KwaZulu-Natal, Conflict Dynamics, Peace, Namibia, National Assembly, Tanzania, 2010, General Elections, Review, Compendium of Elections 1989-2009, D Kadima, S Booysen. Professor Roger Southall is Professor of Sociology at the University of the Witwatersrand. ABSTRACT: Placing �liberal democracy' as a polar opposite to �participatory democracy' is less than helpful, particularly in the African situation. In this article I suggest an alternative approach to democracy which I think is more constructive, and which, equally, I think, will prove useful in guiding our thinking about political participation. ABSTRACT: In many African countries elections are accompanied by conflict emanating from the concerns of different sections of the population. The continent has experienced numerous protests over election results or the manner in which electoral processes have been conducted. Yet while protest by organised groups has been admirably analysed by some scholars, their analysis falls short of providing a comprehensive picture of some of the more obscure reasons for the discontent. For a comprehensive understanding of sources of conflict around elections there is a need to look beyond the actions of organised groups into the realm of the not-so-spectacular hidden forms of protest by rural communities. Such research reveals not only the extent of unhappiness with existing electoral processes but also the extent to which voices of dissent are suppressed under pseudo-democratic dispensations. This article focuses on protests in Swaziland against the electoral process, adding the dimension of hidden forms of protest as they unfold in some rural communities. ABSTRACT: Mozambique's fourth post-conflict elections, held in October 2009, accorded citizens and the political elite an opportunity to assess their democratic experiences over two decades of transition from one-party to multiparty democracy. Dominated by the two oldest political parties, the incumbent Frelimo and the opposition Renamo, the election tested the degree to which Mozambicans were able to consolidate their democratic gains and exposed the extent of the political elite's capacity to play by the rules of the democratic game. Despite robust electioneering, heated debate and the exclusion of some presidential and party candidates from standing, the election was conducted in relative peace, attesting, by and large, to the elite's ability to combine political competition, cooperation and a few selfless compromises in pursuit of safeguarding hard-won democratic gains, peaceful co-existence, political stability and a modicum of economic growth. This article analyses Mozambique's 2009 elections with specific reference to: the major issues which dominated the elections; the framing and salient features of postconflict democratic consolidation or the lack of it; and the role of the new political parties in the party alignment. By addressing these issues, we hope to shed light on the implications of the elections for post-liberation politics and democratic consolidation. ABSTRACT: This article reviews critically Malawi's fourth consecutive general elections since the country's momentous return to multiparty democracy in May 1994. The results of the May 2009 elections marked a complete departure from the familiar patterns of voting along tribal, ethnic or regional lines. The main argument of this article is that the historical uniqueness of the 2009 elections has failed to act as a catalyst for the fundamental and sustainable democratic transformation that was widely prophesied by observers and commentators in the immediate aftermath of the polls. This illustrates, inter alia, that Malawi is still a defective democracy, whose politics are neither democratic nor undemocratic. The major lesson is that democracy cannot flourish if a society does not have any consciousness of its own contradictions and does not set out social practices to provide rules for society to manage its interests and objectives with equity, justice and fairness. 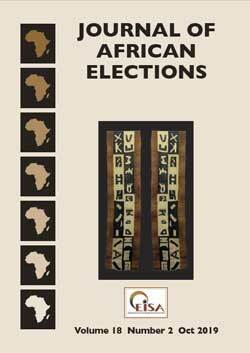 ABSTRACT: National and provincial elections in South Africa, 1994 to 2009, became characterised by elusive opposition party quests to dent the electoral dominance of the African National Congress (ANC). There was ebb and flow in the fortunes of both continuous and new opposition parties as they rallied to capture significant electoral ground from the ANC. In this setting, the article poses the question whether Election 2009 delivered evidence of �game-breaking' performances by opposition parties - feats that dented or showed the potential to harm the ANC's commanding electoral majorities. The answer, explored in detail in the analysis, is ambiguous. On the one hand, the 2009 election trends show hitherto unimagined lapses in ANC performance. On the other, the opposition parties were continuously unable to make profound electoral imprints. The ANC suffered certain setbacks, but retained commanding majorities. Explanatory factors include the serial organisational lapses of old and new opposition initiatives, along with the existence of a powerful parallel non-electoral world of democracy and opposition in South Africa - a world in which opposition politics is enacted within the ANC Tripartite Alliance, and between the ANC and citizens in the between-election periods. The ANC's ability to conduct redeeming election campaigns also helps it to retain its status as �chosen' governing party, while further sealing the fate of opposition parties, from one election to the next. Hence, election 2009 delivered changes in the ANC-opposition party power ratio - symbolising a turning point, with the ANC having moved beyond its electoral peak yet falling short of assuming a watershedchange character. ABSTRACT: The role of civil society in elections often takes the form of support for the institutional processes of a democratic election as well as the more substantive development of a democratic electorate. Civil society does, however, have a role to play in reducing election-related conflict dynamics and promoting a peaceful electoral environment. This paper examines the role of the KwaZulu-Natal Democracy and Elections Forum (KZNDEF) in elections in KwaZulu-Natal. The paper examines the role played by the KZNDEF's five subcommittees in and their impact on the deepening of democracy, the reduction of conflict dynamics and the promotion of peace in KwaZulu-Natal, a province plagued with election-related violence. ABSTRACT: This paper argues that the general elections of 2009 managed to consolidate the hold of the South West Africa People's Organisation (Swapo) on the body politic in Namibia. The expectation and perception that the formation of a new opposition party, by former members of the ruling party, would challenge the dominance of the ruling party has not materialised. What has transpired is that the Rally for Democracy and Progress has eroded the support of the Congress of Democrats (CoD) and has replaced it as the official opposition. This situation is a repetition of that in 2004, when the CoD, as a newly formed opposition party, displaced the Democratic Turnhalle Alliance (DTA) as the major opposition party. The pattern of electoral politics reveals that the formation of opposition parties does not necessarily translate into a loss for the ruling party. The incumbency advantage enjoyed by Swapo seems to explain this. Furthermore, this paper posits the theory that the institutional mechanisms put in place to ensure free and fair elections require fundamental changes. What is also critical for electoral politics to succeed and for democracy to be consolidated in Namibia is that the political playing field needs to be extended in terms of media coverage for opposition parties and the provision of adequate funding, without which these parties will be unable to function properly. ABSTRACT: Managing elections in transitional countries, of which Tanzania is one, is not an easy task. Poorly managed elections are sources of tension and conflicts. This article takes stock of the preparations for the 2010 general elections in Tanzania, drawing lessons from other elections held since the country reverted to competitive multiparty elections. Although the electoral machinery has been reviewed and adjusted to make it more efficacious there are a number of unresolved problems that may dent the forthcoming elections. These include the limitations of the first-past-the-post electoral system; the prohibition of independent candidature; the disallowing of voting in the diaspora; ambiguities in the registration requirements, especially in Zanzibar; ineffective voter education interventions; and the undesirable role of the shehas2 (Zanzibar) and district and regional commissioners in electoral processes. The newly enacted legislation aimed at controlling the use of money and deterring corruption in Union elections is a good measure for ensuring fair play. However, the enforcement strategies and mechanisms are still weak. Enactment of the law is one thing, but its effective enforcement is another issue. This article examines the efficacy of political parties on the road to the 2010 elections and, in light of empirical and anecdotal data, reveals systemic and endemic weaknesses in opposition parties that pave the way for landslide victories for the ruling party and its president.